He has the voice of a good storyteller. 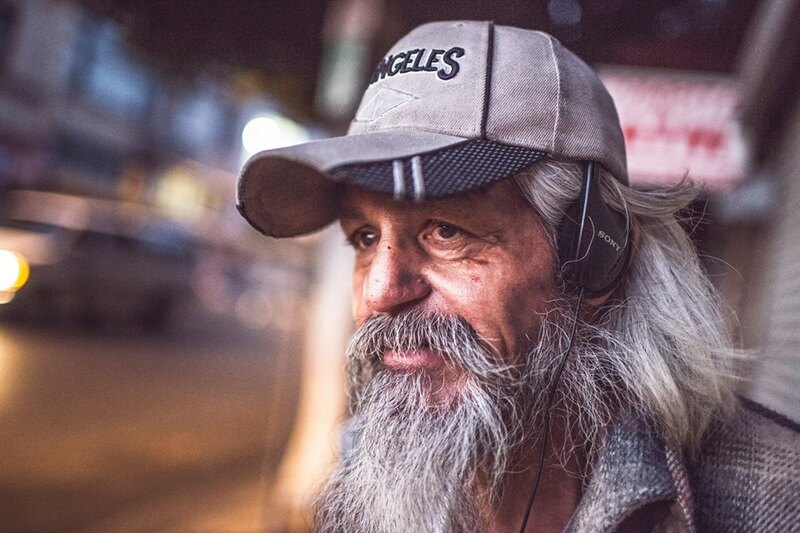 On a quiet small street at the edge of Skid Row, away from the crowds and the noise is “Benito.” He was unfolding cardboard boxes to prepare his place to sleep for the night. Like other homeless people, he has to wait until all the local businesses are closed before he is allowed to lay on the sidewalk. He has the kind of voice that would make for a good storyteller or narrator for a movie. 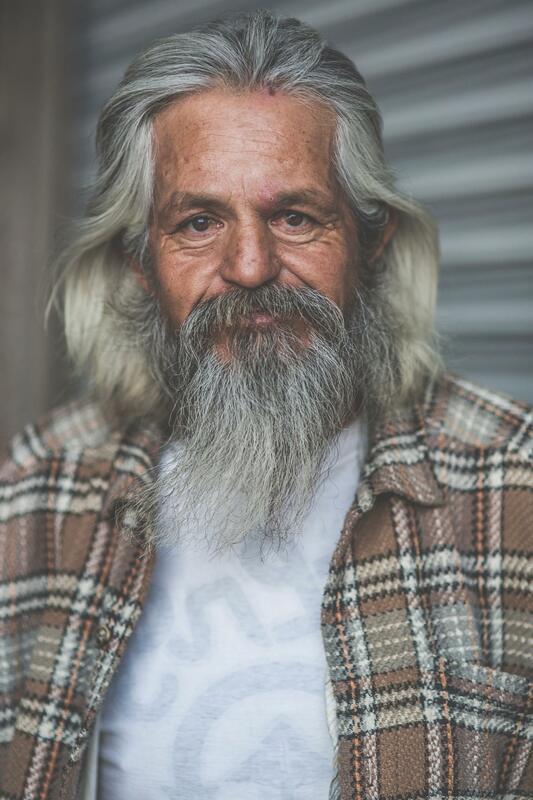 And from talking with him he has the wisdom that comes with age and living on the streets. “People can’t find happiness because they look for it in the wrong places. Happiness is found inside our hearts.” That’s what Benito told me with his soothing story telling voice with a Spanish accent. Benito doesn’t need many things to make him happy. Living on the streets means to live simply. Only carrying the most essential things in his shopping cart. He likes to spend his time reading books to escape his grim reality. 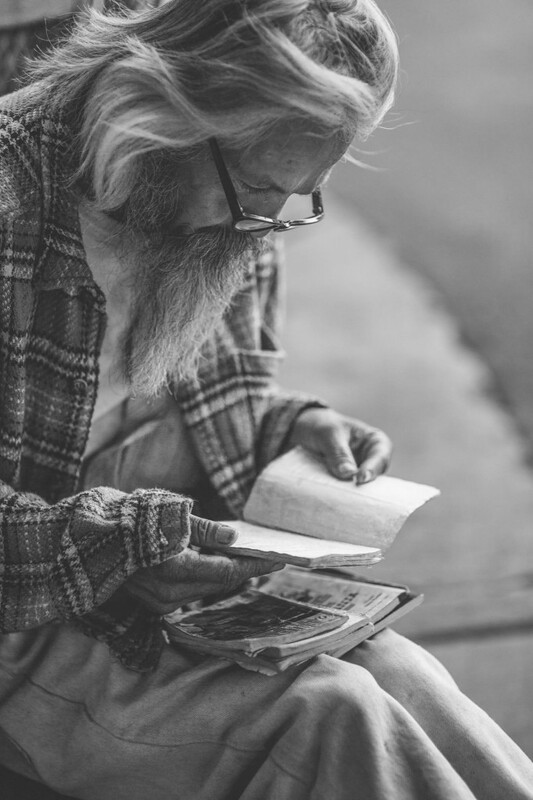 And when he is done, he exchanges books with other homeless people who also share a love for reading. He says when he feels down he just thinks about how there are many others who are less fortunate then him. It’s easy to feel the tenderness in her heart.